There are numerous ways you can keep pests out of your home and garden without chemicals. When making pest control recipes, just be sure to play close attention to whether the recipe is organic or simply non-toxic. Organic pest control and non-toxic pest control often get lumped into the same category. While non-toxic pest control is much better than the toxic variety, many of the ingredients used to make non-toxic pest sprays contain inorganic materials such as dishwashing soap or non-organic brands of bar soap. These products, while not as dangerous as herbicides and pesticides, still contain toxic or non-organic chemicals. So, if you are trying to be as earth friendly as possible, stick with purely organic recipes. 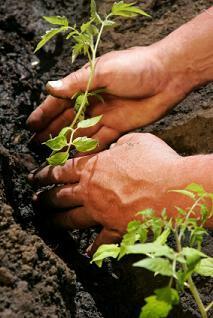 The following are some useful organic recipes to help control a few common garden pests. This isn't really a recipe, but it's a simple solution to ridding your garden of slugs and it only has one ingredient: beer. You can buy organic beer if you would like, but since you aren't putting the beer into the ground, any beer will do. Fill a container about one quarter of the way up with beer. Bury the container until it's about two-thirds in the ground, with one third of the top above the dirt. Change the container every other day as it begins to fill with slugs. Slugs are attracted to the fermented yeast in beer, so they make their way to your container and fall right in. Aphids are tiny and look harmless, but they will eat the leaves off your garden plants in no time. Ladybugs are natural aphid predators, but if you don't have any ladybugs you can purchase to introduce to your garden, here's a quick organic recipe to get rid of these plant chompers. This recipe is also good for many other garden pests because they don't like the smell or the taste of the hot peppers. 1/2 a cup of hot peppers, chopped - Try Cayenne or Thai chilies; these are among the hottest peppers. The hotter the pepper, the more capsaicin and the more capsaicin, the better it keeps the bugs away. Mix the chopped peppers in the water and let it steep overnight. Pour it into a spray bottle and apply to your plants regularly. These are among the peskiest of garden pests because they are so small, yet so annoying. Mix the basil oil and water thoroughly and pour into a spray bottle. Take a bunch of basil and either grind it in a pestle and mortar or a blender. Add it to the water. Strain before adding it to your spray bottle so you don't clog the sprayer up with bits of basil. Both pests will stay away from this concoction. Chop the garlic and cover with water. Dissolve one teaspoon of fish emulsion in a pint of water. Mix the two solutions together. Store tightly covered in a glass container. To use, add one part of the mixture to twenty parts of the water. You can also make this bug spray that is safe for use on your body. Mix carefully and pour into a spray bottle. Spray on skin while shielding eyes. Ants can be deterred with cider vinegar. Use it to wash countertops and floors, or other places ants have become a problem. You can also use a borax mixture. Note that borax is toxic if ingested by people or pets, so be careful. Mix together the borax and flour until well combined. Sprinkle it around the foundation of your home. If you truly want to go organic for pest control in your garden, stay away from recipes that include any liquid dishwashing soaps, laundry soaps or rubbing alcohol. Many recipes claim to be organic but contain such items, which can be poisonous and are definitely not organic. There are, however, some organic soaps on the market that you can look into if you simply must use a recipe that includes soap.